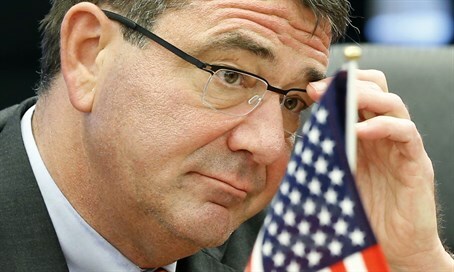 Faulty Pentagon-led training for 'moderate' rebels to be redirected after multiple problems, Ashton Carter reveals. US President Barack Obama has approved numerous changes to the Pentagon's "train and equip" program for moderate Syrian rebels, Defense Secretary Ashton Carter said Friday. "We have devised a number of different approaches to that, going forward," Carter told a news conference in London, referring to the problem-ridden program. "You will be hearing from (Obama) shortly in that regard about proposals that he has approved." The Obama administration embarked on the program earlier this year under strong pressure from Congress, which allocated $500 million to finance it. Slow-downs have occurred in the vetting of trainees, however, the Pentagon noted in June. Some 6,000 Syrians have volunteered for training, and 1,500 passed the first stage of selection, according to the report - but as of several months ago, just 100-200 were actually in active training. Carter stated at the time that it was "very difficult" to find trainees who defined themselves as "moderate" but were also willing to select ISIS as their primary foe.